Here is a great recipe that I recently got from my hairdresser in Kentucky. 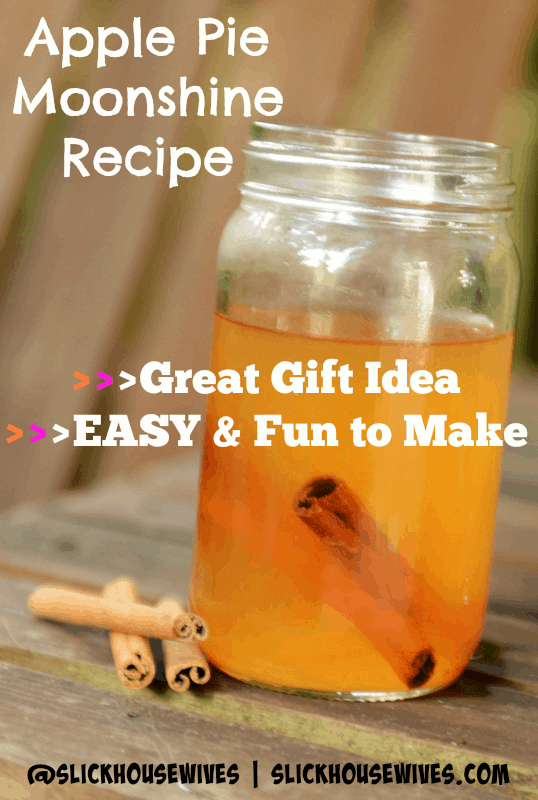 I use it to make gifts for family and friends at Christmas!! The mason jars are just to be consistent with the moonshine theme. They aren’t necessary, but they make storage easier, since your making such a large batch. I used cupcake liners to decorate the lids and a little ribbon. Voila! You’ve got yourself a tasty, great gift! If you want more Moonshine Recipes, be sure to check out this great book called How to Make Moonshine! 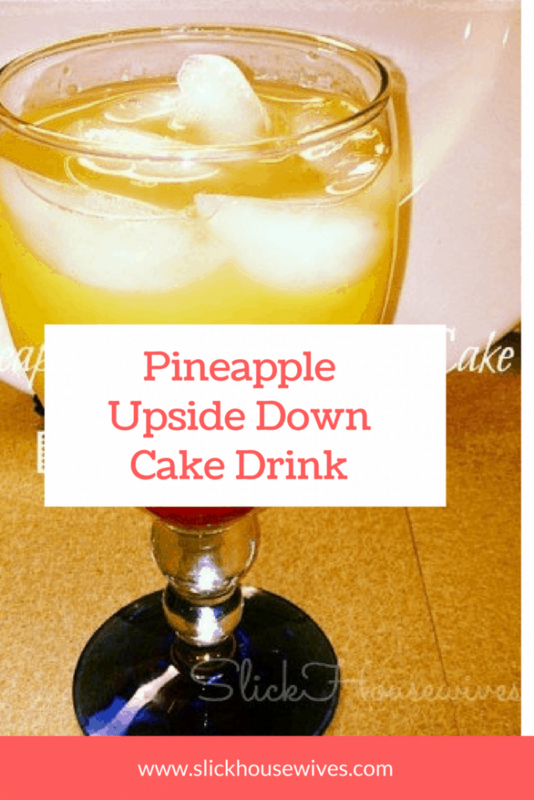 Be sure to check out our Pineapple Upside Down Cake Drink Recipe. The printable version of this recipe is at the bottom of the post. 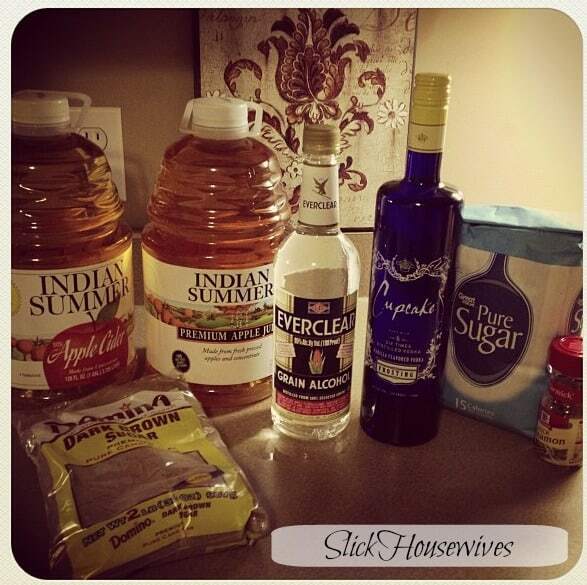 Here is what you are going to need to make Homemade Apple Pie Moonshine! Remove the mixture from heat & let cool to room temperature. Once the mixture is completely cool, add in the alcohol. I also divide up the cinnamon sticks so that each jar has one or two. Store them in a cool dark dry place. 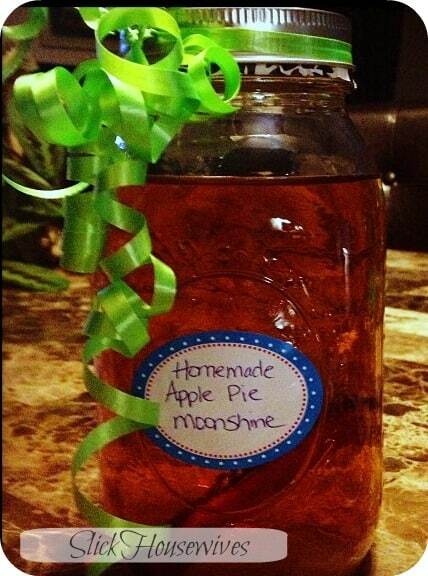 ***After a couple of weeks your Apple Pie Moonshine will taste even better. I love this and pinned it thanks. We used Sin Fire, cinnamon whiskey, instead of vodka. Super yummy! 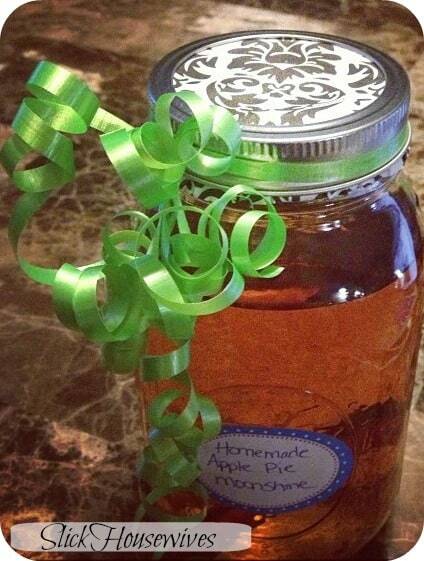 I've had apple pie moonshine but have never thought to make it myself. Seems easy enough. Thanks for sharing on the Shine Blog Hop!